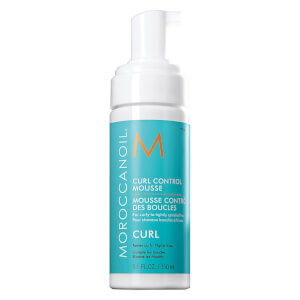 Stop your curls and waves from going out of control with Moroccanoil Curl Defining Cream. Enriched with nourishing argan oil and proteins, the heat activated technology produces a curl memory factor that keeps your hair looking defined and bouncy. The rich and conditioning texture helps to detangle curls, making them easy to comb and style. Easy to apply, you'll soon be sporting frizz-free curls that are full of vitality. Apply 1–2 pumps to towel-dried hair. Distribute product throughout hair and diffuse to activate and enhance curls. Hydrolysed Vegetable Protein: Coats porous strands and split ends. This product is no better than other curl creams on the market. Bought this for my husband who like me has dry, curly hair, prone to frizz. But, it made his hair look a bit 'stiff' and you could kind of feel the product there at all times. 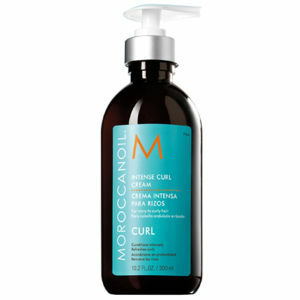 My salon recommended the Moroccan Oil range of shampoo & conditioner for moisture. When you see oil you automatically think greasy hair. Quite the opposite! The shampoo & conditioner are fab. So I bought and teamed it up with Moroccan Oil & Defining Cream. Its just lush. Not too heavy but good enough to hold my curls in place. I have naturally wavy hair and both products complement each other. It pretty much lasts all day. Smells lovely too. I wish I bought the larger ml bottle!